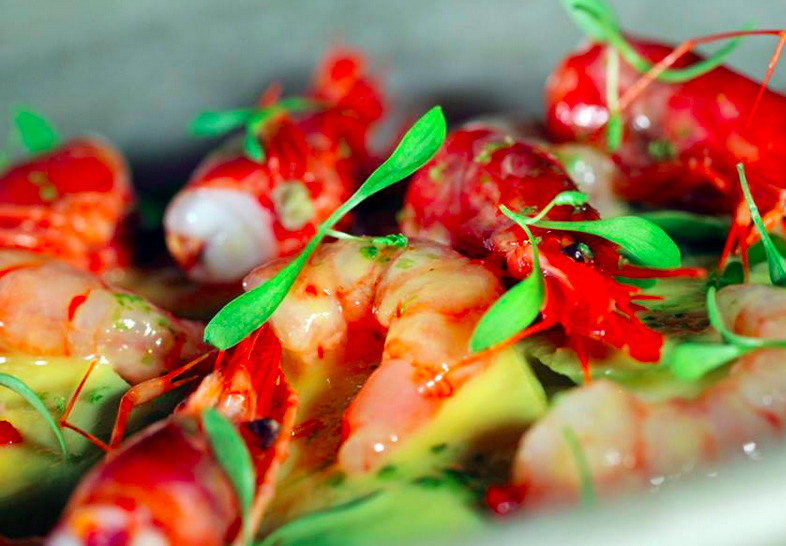 Welcome to Catavino’s Gourmet Guide to Barcelona! This guide covers everything you need when travelling through Barcelona, including the bites and the sites! If, however, you’re looking for a guided experience, check out our Barcelona food and wine tours or let us design a customized tour for you! It’s no wonder that Barcelona has become a gourmet food hub when considering its strategic position as not only a port city, but the main thoroughfare between the Iberian Peninsula and Europe. From Sicily to Paris, and as far as Morocco, Catalan cuisine has always had a unique historical capacity to incorporate the best of other culinary cultures. Present day Barcelona is a hotbed for innovative cuisine, drawing some of the best chefs from around the world to try out their culinary experiments. However, tradition is not lost, and one can find restaurants with 200 years of antiquity nestled in Gothic corners. Even international restaurants are making their mark, with tiny jaunts dedicated to homemade Ethiopian, Thai and Venezuelan cuisine. The goal, as for any good foodie, is to be willing to explore narrow windy medieval streets to find hidden gems known only to locals. To wander is to discover the numerous bars and cafes dotting the city landscape. Like pharmacies and banks, it would be difficult to throw a stone in any one direction and not encounter a wee spot to enjoy a cafe, vermouth or a caña (beer) along a tree lined cobbled street. Often one in the same, many find it difficult to distinguish between a cafe or bar. Typically differentiated by ambiance and choice in beverage, bars in Barcelona will often start their day as a morning cafe, veer into a bar serving a wee bocadilla (Spanish sandwich), swerve back into a cafe for a cortado (espresso with a dollop of milk) and end in a frenzied mix of both. But unlike Madrid, one cannot throw their napkins on the floor, nor can you expect a hearty breakfast fare served with 1,001 versions of coffee. Think simple: croissant with fresh squeezed orange juice (not to miss! ), or a fixed priced menu del dia for lunch consisting of 3 generous plates and a drink. Placa del Santa Maria (El Borne) – This area is a sweet spot for bars and cafes ranging from places dedicated to chocolate, wine, coffee and more. Gothic Cathedral (El Gotico) – Just behind the grand dame of cathedrals, you’ll find a labyrinth of streets with loads of little jaunts that are perfect for take little sandwich or afternoon vermouth. The other option to hit the fast and furious restaurant scene. Now, you may be thinking, “you mean the tapas scene, right?”. Fairly, you would assume this, but technically, Catalan cuisine does not have the traditional Spanish tapas tradition as part of its rich history – not to say you can’t find a wide variety of tapas bars scattered across Barcelona. What it does have are strong ties to the Balearic cuisine, Valencian cuisine, Southern French cuisine, Aragonese cuisine and Murcian cuisine, which is a mix of both mountain and sea. Butifarra (Catalan sausage) is by far one of the most important dishes in Catalan cuisine, containing everything from egg, rice, blood, nuts, truffles and spices to name a few. Coca (Catalan pastry) is as ubiquitous to Barcelona as Tortilla de Patatas is to Madrid. Catalunya boasts of several versions of this sweet or savory pastry that all use dough as the main ingredient, which is then layered upon. If it is sweet, eggs and sugar are added, and if savory, yeast and salt. As regards the topping or filling, fish and vegetables are usual at the coast while inland they prefer fruit, nuts, cheese and meat. Bolets (mushrooms) are pure heaven in this region. In Spain, about 2,000 species are to be found, although the areas with the greatest diversity are Aragón, Asturias, Castile-Leon, Catalonia, Galicia, Navarra, Basque Country and Madrid. These are also the areas with the greatest tradition for mushrooming. The popular names of mushrooms sometimes vary from one region to another, but keep your eyes peeled! There is nothing more decadent! Calcots are a type of spring onion that grilled and dipped in a homemade Romanesco sauce. Extraordinarily addictive, it is generally washed down with a refreshing glass of cava. Heaven couldn’t be more sweet. Cava is the Catalan version of French champagne (learn more about Cava) its main distinguishing feature from its Gallic cousin being that it’s sold here in Spain for a tiny fraction of the price. Hunt down Barcelona’s old school Xampanyerias (champagne bars) in the city or take a day trip to the neighouring Penedes region for tastings in the local vineyards (see the tours section below!). There are loads of restaurants to explore while visiting Barcelona, ranging in fiercely trendy jaunts like Ferran Adria’s Tickets to cosy and more traditional fare serving up a Menu of the Day such as La Vinateria del Call. Equally true, with the boom of the wine and beer scene hitting Barcelona, it doesn’t take long to find a fab restaurant serving artesanal Spanish beer with Chinese dumplings, or a wine by the glass from some of the top wineries in Spain. Hence, there is no shortage of places serving gutsy country cooking: goose with apples, duck with pears, or the time-honored Catalan combination of mar i muntanya (sea and mountain) – lobster with rabbit or chicken stuffed with shrimp. Placa del Santa Maria (El Borne) – Like the cafe scene, you won’t find an area more jam packed with great restaurants. Gracia – Needing something a little quirky, international, eclectic or funky, look no further than this entire barrio. Barceloneta – After a long, highly enjoyable, day at the beach, this wee peninsula is chockfull of great restaurants to get your fill on fish. Thought Barcelona is relatively chill when it comes to dining norms, there are a few I would suggest keeping close at hand. When to Eat: Barcelona (and Spain in general) functions much in the same way as hobbit’s village. There are approximately 6 meals a day, or more, depending on what your objective is. As a basic guide, you can assume the following: 8am coffee, 10:30 coffee and croissant, 14:00 lunch; 16:00 coffee and a sweet; 21:00 dinner. If you arrive 15 minutes late to any of the meals, rest assured so is everyone else. When in Doubt use Silverware: Though you will see many people use their fingers, they tend to be tourists. As a general rule of thumb, even if you’re enjoying a pa amb tomat, cut that bad boy with a fork and knife. Dress Code: Here I am only referring to the restaurant scene, but just about anything goes. Would I suggest avoiding a t-shirt and shorts for a nice dinner, yes, but you won’t get kicked out. Barcelona is lovely in its informality, but try not to abuse its flexibility. Another “must do” while in Barcelona is to visit the numerous markets available to you. For those of you who prefer to rent an apartment during your stay, these are the ideal places to peruse for fresh produce, meat and fish. Additionally, as each stall tends to be family run, you’ll find locally sourced produce, fetched not 50 k from Barcelona. La Boqueria: Known throughout the world for its presentation and diversity, la Boqueria cannot be missed for produce, fish or meat. Mercat Santa Caterina: Totally renovated in 2005 by Enric Miralles and Benedetta Tagliabue, this stunning market is located just up from the marina in Ciutat Vella. The hundred or so market stalls housed in this three-level structure, close to the city’s medieval cathedral, dedicated to Saint Eulalia, the Lusitanian martyr, are covered with a great, wave-like roof adorned with a magic carpet of 325,000 colourful ceramic tiles lifted on writhing, and intertwining, steel columns. Remember: One rule of thumb, watch your possessions! Though Barcelona as a whole is incredibly safe, pick-pocketing has turned into a science, and there is no better location to bump and grab than a busy and crowded market. The Catalans’ endless enthusiasm for festivals and gatherings means that there’s hardly ever a week in the year that doesn’t include at least one. These range from the full-on traditional festes with giants, dwarfs, castellers (human castles) and dragons spitting fireworks, to chill street fairs selling artisanal honey and sausages, with the occasional “flair” of the native Sardana dance. Festes de la Mercè (24 September) – a week-long event in honor of the patron saint of the city, Our Lady of Mercy, opens with giants, dragons and capgrosses in the Plaça Sant Jaume. Mind you that all of these festivals have plenty of street food and wine or beer stands available; hence it’s worth the excuse to wander. La Sagrada Familia – Gaudi’s unfinished masterpiece is truly one of a kind. Derided by Picasso, Dali and Orwell at the time, this epic monstrously kitsch church (it doesn’t qualify as a cathedral despite his size) looks like a vast alien spaceship and you can’t go home without a peak. Worth braving the queues for an inside gander as well. Passeig de Gracia – Barcelona’s grandest avenue, there’s Gaudi galore – check out Casa Mila and Casa Batllo – plus other Modernista masterpieces by his contemporaries on every corner, as well as high end shopping and plenty of posing and preening. Park Guell – Gaudi’s (who else’s?) landscaped gardens have featured in every movie ever made about the city, so to recreate some Woody Allen magic and enjoy views over the entire city get on the metro to this botanical delight. Best around dusk when the crowds/heat are less oppressive. Montjuic – Literally a treasure mountain. There’s the Olympic Stadium, Joan Miro Foundation, National Museum of Catalan Art (recommended! ), a castle/fortress with military museum and plenty more to see on this port-side cliff. Picasso Museum – Barcelona’s best museum focuses on the 20th Century’s most famous artist and his formative years and work, right here in the Catalan capital. A fantastic insight into the mind of genius. During the high season (May-September) Barcelona beaches tend to be saturated with tourists looking for a quick dip in the sea or to get their bronze on; which is perfect if this is what you’re looking for. But if you’re wanting a more chillout experience, take the train north to Costa Brava or south to Costa Dorada. These tend areas have less people and are graced with some fabulous restaurants! For a more detailed description, click over to our articles on Surfing in Spain, Top Tips to Enjoying Spanish Beaches and fabulous Beachside Restaurants in Barcelona. 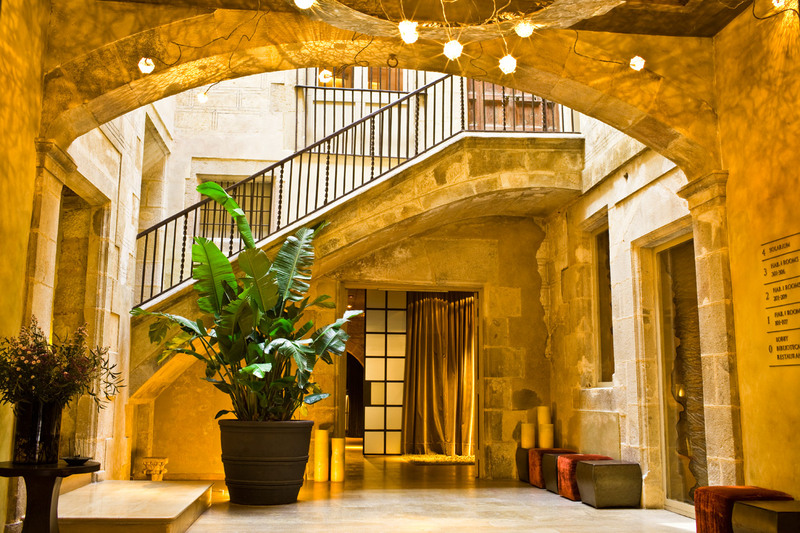 Neri Hotel – A civilised boutique hotel in Gotico, you’ll find the serene Placa Sant Felipe Neri behind the building along with the famous bomb-scarred walls of the neighbouring convent. Pick up a copy of The Shadow of the Wind and settle down for a four star brekkie. The Cotton House – Housed in the former headquarters of the city’s cotton guild, this hotel has honoured its origins. As well as original features and antique furniture, you’ll encounter rooms with names like ‘Taffeta’ and ‘Damask’ and a small salon with displays of cotton bolts where you can have your very own shirt made to measure. Mercer Hotel – An unexpecting and peaceful oasis in the heart of the Old City, the Mercer Hotel displays various architectural styles from Roman times to the present day. Containing all the essential facilities, including two restaurants and a pretty rooftop area with a plunge pool, the Mercer is the perfect spot for a romantic getaway. Also hold tight for more great gourmet guides to Spanish and Portuguese cities and regions, such as Lisbon and Rioja, and in the meantime do follow our award-winning food and wine blog for the latest in news, views and stories from Iberia’s culinary world. The Best Beachside Dining in Barcelona – Here is a list of five “seaside” places—beach restaurants in and around Barcelona—that offer something worth trying and take the guesswork out of picking a Chiringuito. 5 Cozy Places to Eat & Drink in Barcelona – Fantastic places in Barcelona to enjoy a cozy afternoon or evening with a plate of great food and a tea, coffee, wine, beer or cocktail in hand. The Best Places to Eat Calçots in Barcelona – In the Catalan countryside surrounding Barcelona, young, sweet onions break ground in mid-winter, growing tall and pale in the rich Mediterranean soil packed around their roots. The fertile earth guards the tender white shoots from the sun, leaving them delicate, delicious, and ready for grilling. Top 10 neighborhoods to visit while in Barcelona – Top 10 neighborhoods in Barcelona that are the most iconic and visit-worthy, along with a comprehensive description of each. 10 Best Terraces for Summer in Barcelona – Summer along the Mediterranean is too nice to dine indoors, so claim a seat at any one of these 10 Bars and Restaurants and prepare yourself for pleasure “al aire libre.” You may never eat inside again. Top 20 Gastronomic Gems In Barcelona – The idea of creating a list of ‘the best’ of anything can often incite passionate debate bordering on fanaticism, so lets view this a list of ‘things not to be missed”—a list of my 20 food and drink treasures in Barcelona, and where to look for them! Hidden Factory: The Clandestine Restaurant Movement in Barcelona – Chef Javier Morón and business partner Sergi Salguero have joined the slowly growing cadre of gourmands and entrepreneurs who bring their passion for food and service directly to the public of Barcelona in the form of underground—“clandestine”— restaurants. Vermouth in Barcelona: The past and present of a delicious aperitivo culture – Though famous brands of vermouth such as Martini & Rossi (Italy), Noilly Prat (France), and Cinzano (Italy) have their merits as aperitifs or as a spike to the forever-swanky dry martini cocktail, vermut casero (home-made) is the rising—or rather re-born—star of the today’s day-time drinking culture in Barcelona. Barcelona by the Glass: Visit the city’s five most interesting wine bars – To find a “wine bar” with an accessible, interesting, varied selection of Spanish wines by the glass, modern often beats classic in Barcelona. Here is a list of five bars and restaurants that go above and beyond the Barcelona average, offering glasses of fine wine (and bottles) for any taste and budget. Barcelona’s Brewing! Craft Beer in Catalunya – As the wine world has seen, it takes time and tact to convince consumers to spend more money on small-production, quality products. Craft beer is a huge international movement with over 20 years of momentum, and in Spain, Catalunya has the most labels of all. Top 5 Music Venues in Barcelona – While jazz has a deep tradition throughout Catalunya, you can find any type of act imaginable here, from international superstars playing to thousands of fans at festivals like Sonar, to virtually unknown gems that spew forth pure magic from their collective fingertips upon tiny stages. Here is a list of five places to for great live music while in Barcelona. Where to Eat in Sant Antoni and Poble Sec – Tourists are led by guidebooks into the heart of the city, often sticking to the most central neighborhoods of the Gotico and the Born while missing some of the best local haunts. However, it is worth getting to know the other areas of the city, where visitors can soak up the atmosphere of the quieter streets and immerse themselves in the local food and traditions found off the beaten path. Barcelona Wine Shops: A Comprehensive Guide to Find your Ideal Spanish Wine – Finding a well-stocked, fairly-priced, organized bodega with a knowledgeable, friendly staff may seem like a tall order (especially in a country where service and hospitality seem about as optional as the tipping policy), but rest assured that in Barcelona, options abound! Let us tell you where to go! Visiting Wineries by Train in Barcelona – This comprehensive list of top wineries is perfect for people wanting a customized DIY experience.